STANDISH–Bonny Eagler Aidan McGlone – profiled briefly here – has won this year’s Frank J. Gaziano Offensive Lineman Award. 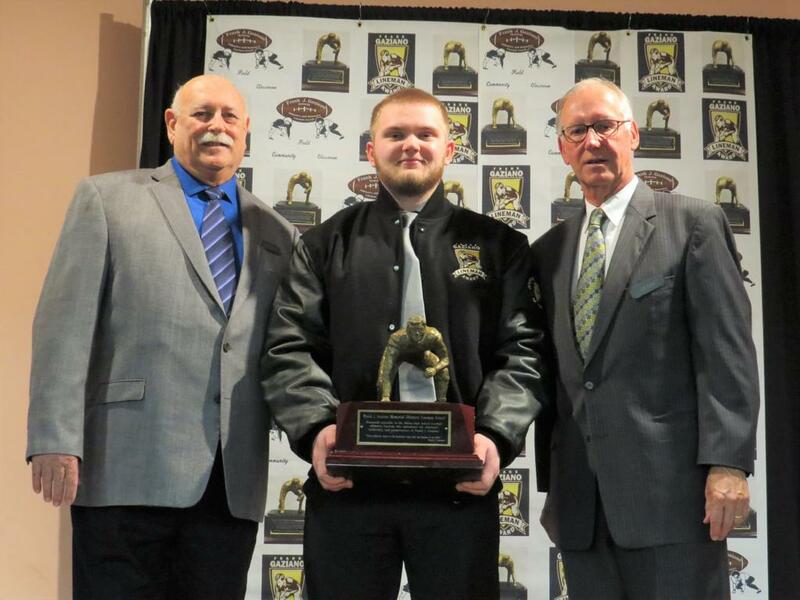 Aidan McGlone (center) poses with his new Gaziano Offensive Lineman of the Year statue, as well as Peter DeSimon (left), President of the Gaziano Awards, and Jeff Kane (right), retired President of National Distributors and Frank Gaziano’s son-in-law. Photo courtesy of the Gaziano Awards.